Mobile technology creates additional touch points between your company and customers that help build brand loyalty. Take Starbucks and Florida-based barbershop Livin' In The Cut as examples of how positive interactions and loyal customers contribute to business growth on both the small business and enterprise level. An app can take many forms: a game, a tool, a social platform, a gadget, or a gimmicky addition to the marketing portfolio. Often overlooked, though, is that an app has the power to transform the entire customer journey, improving operations, marketing, and reputation. Several multi-million dollar brands have already discovered how to use their app as a growth strategy. But, mobile solutions can be just as valuable for small businesses. This article uses two case studies – Starbucks and Florida-based barbershop Livin’ In the Cut – to explain how fully integrated mobile apps can contribute to business growth. Mobile Apps: Add-Ons or Fully Integrated Solutions? A mobile app can be a powerful tool for business growth; however, not every business uses a mobile app in the same way. So, what does it look like to use an app effectively? We answer this question by comparing an app as an add-on versus an app as an integrated solution. An app as an add-on usually takes the form of a static platform that includes the same information as the company’s website. The app’s content primarily is informative, as opposed to interactive. Companies tend to invest in this type of app to keep up with trends. But, they’re not using the mobile technology to its full potential. A fully integrated app is a crucial part of a company’s day-to-day marketing and operations, serving as a two-way street for communication between the customer and the business. Customers are able to interact with the brand through the mobile app, making it part of their experience with the business. For example, without the app, crucial interactions, like ordering items and collecting rewards points, would no longer be possible. Starbucks Case Study: What does a fully integrated app look like in real-life? Starbucks proves that an app is much more than just an add-on application. The brand uses mobile technology as a way to propel growth. “The app is very important. It’s become one of our core strategies,” said Adam Brotman, Starbucks’ Chief Digital Officer, in an interview. 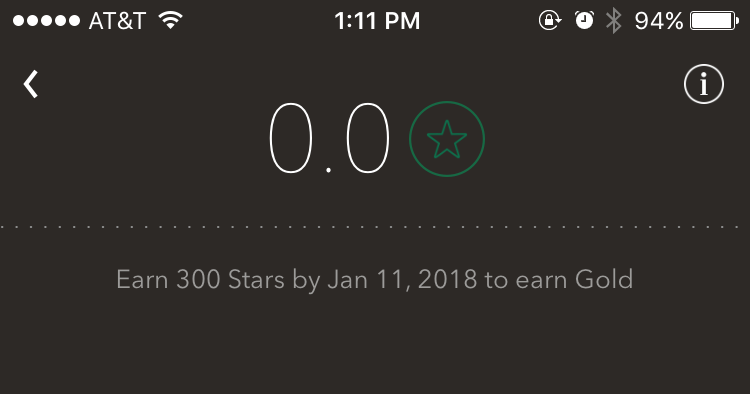 As a result, Starbucks has 13 million active loyalty program members. Additionally, 27% of Starbucks’ transactions in the US are from mobile pay. Starbucks is seen as the “poster child for how traditional brands can successfully integrate into the mobile ecosystem,” according to an article about branded apps from Tune, a marketing solution for mobile. 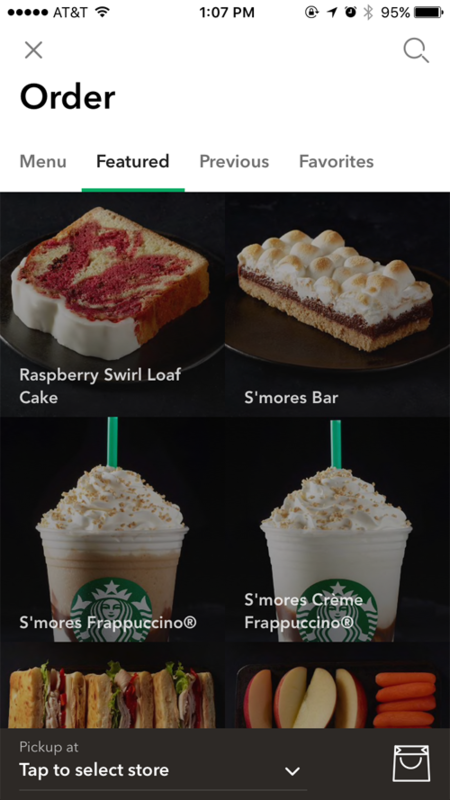 The secret to Starbucks' app’s success is that it gives users an intuitive experience, making it as easy to navigate as walking into a Starbucks store. Outside the app, the only thing a customer has to do is pick up the order in-store. The experience from mobile to in-person is seamless and simple. Small businesses can use the same approach and technologies as Starbucks to rethink their customer journey (with a fraction of the budget). Traditionally, companies focused on touch points, or the vital moments when customers interact with a brand. The transition from customer touch points to the customer journey isn’t easy. However, a mobile solution is the first step in moving companies beyond mere touch points to influencing the way a business addresses the customer journey. Mobile technologies can transform and improve the customer experience. For example, Starbucks reinvented its customer experience by making utility the most important aspect of the app. App users can browse the menu, find stores, place orders, track rewards, and make payments ­– all in one place. Providing an exceptional mobile customer experience builds loyalty. The better the experience with your brand, the more likely people are to return. Loyal customers account for 20% of a company’s customers, driving 80% of a business’s total revenue and 72% of total visits. Any small business can use a mobile-based loyalty program to build its customer base. Loyalty programs increase overall revenue by 5-10%, with members spending more money and buying more frequently than non-members. Starbucks got rid of its paper stamp cards a long time ago. Now, the brand uses its app to reward customers by giving them a certain amount of stars for every purchase made using the app. Customers now feel that every purchase they make amounts to something bigger, whether it's reaching “Gold Status” or receiving special offers. The loyalty program contributes to Starbucks’ positive customer journey. Loyal customers are your business’ most important marketing assets. You can turn happy customers into advocates for your brand by empowering them to share their experience with your company. In fact, 89% of consumers say that customer testimonials are the most effective form of content. To tap into this word-of-mouth power, small businesses should make it as easy as possible for their customers to share their opinions both online and offline. Through an app, you can ask people to share a positive review on Yelp or incentivize them to bring in a friend next time. How can small businesses use integrated apps to grow? Small businesses can use a fully integrated mobile app to address operational issues, solve marketing challenges, and manage their brand reputation. A small business can use mobile technology to increase operational efficiency by automating key business functions. For example, Starbucks allows customers to place and pay for orders before coming to the store, eliminating the need to wait in line and order in-person. A small business can use a mobile app to send targeted offers and promotions to customers based on their location and preferences. For example, to reach customers in a specific location, use geo-fenced push notifications. This helps increase customer engagement by opening a direct line of communication between your business and your customer base. A mobile app helps small businesses manage their reputation by turning their best customers into brand advocates. Consider using notifications to encourage app users to leave a review on Yelp, TripAdvisor, or Google Local Business. 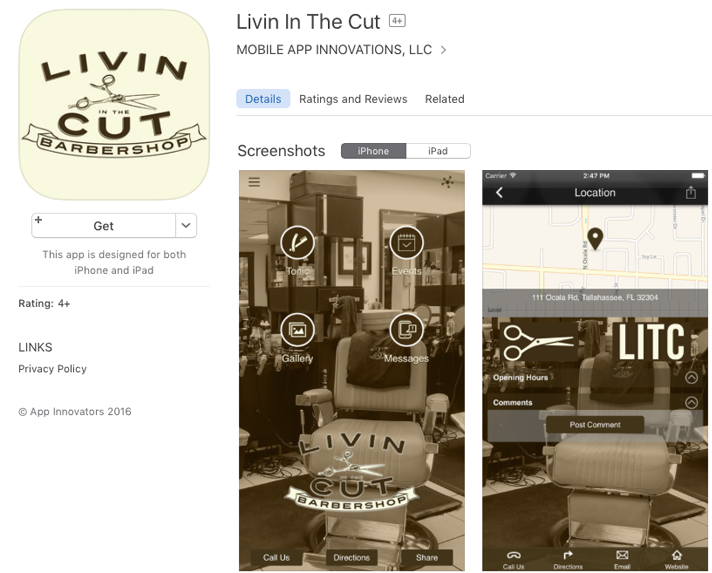 Livin’ In The Cut, a small, local barbershop based in Florida, used a mobile app to transform its customer journey and improve its business operations. Due to its large volume of clients, Livin’ In The Cut struggled with wait times on a daily basis. Barbers were working with clients and performing receptionist duties. By keeping customers waiting, the business was hurting its bottom line. Managing the barbers’ work schedules also was a challenge. The business developed an app to centralize all communication. Send messages directly to their customers. The owner of Livin’ In the Cut appreciates how the mobile app improved the business’ ability to serve its customers better. The app not only solved an operational challenge but also addressed the customer experience. Livin’ In The Cut built an app to boost its return on experience (ROE) instead of return on investment (ROI). The app changed the feel of the barbershop: customers now enjoy coming in because they can time their visit based on the barbers' availability and wait times. The shop also experienced a dramatic increase in reservations, due to the ease of scheduling appointments using the app. Both Starbucks and Livin’ In the Cut show that apps are the solution to business growth on both the small and large levels. No wonder nearly half of small businesses expect to adopt a mobile app by 2017. Any industry can benefit from a fully integrated mobile solution to increase operational efficiency, boost marketing results, or enhance their online reputation. Apps are no longer add-on features, but rather fully integrated systems that disrupt the way consumers engage with businesses. 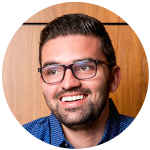 Andrew Gazdecki is the founder and CEO of Bizness Apps. Bizness Apps creates mobile solutions suited for local businesses with small budgets and big ideas. We create the ultimate customer connection through mobile apps that create a digital connection to your customer's mobile phones for commerce, loyalty, reviews, referrals, communication, and more.